Join our Holiday Bazaar & Product Launch Party in LA! 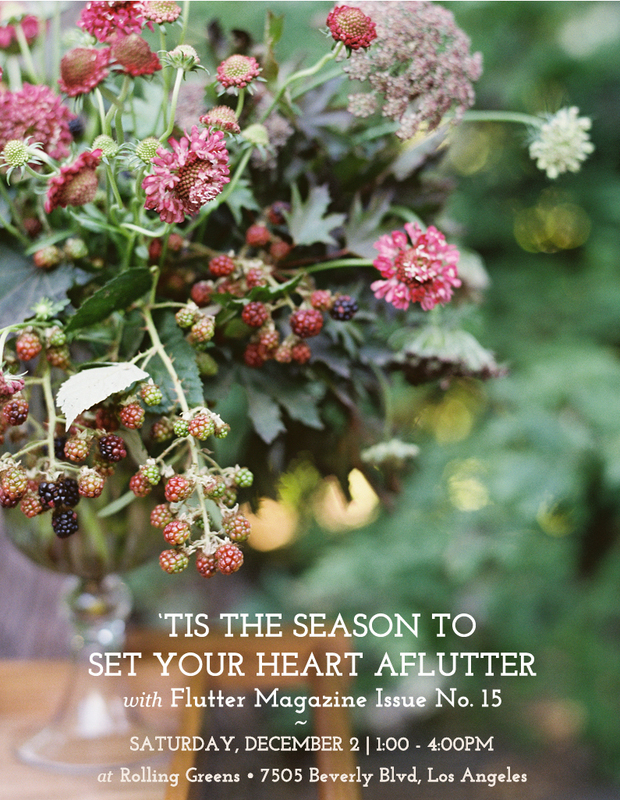 Join us in celebrating the release of Flutter's Issue No.15 and the Flutter Celebration set with champagne, cake and flowers! This holiday pop-up is an afternoon filled with heart-fluttering workshops + holiday shopping for the hostess with the mostess at one of our favorite home and garden stores, Rolling Green in Los Angeles. Sign up to make holiday arrangements with Heather Siu of Myrtle et Olive + Lark & Ives, explore the world of champagne with sommelier Sasha Hagenlock, and get a little holiday shopping done! Free Giftwrapping Black Friday Offer!